I'm actually writing after my younger brother Zainal Yusof sent me an SMS earlier today that your blog contained some information about our late parents' Kirkby days. I'm Ismail and I live with my wife and three children in Rawang, Selangor that is about 40 km north of Subang Jaya where Zainal stays. Zainal did earlier mention to me about getting in touch with Amy through you just before Hari Raya and its a pleasant surprise to find out you have included his meeting with yourselves in your blog complete with fantastic pictures. Well, I suppose after that meeting, Zainal might contact you again later with more questions and he's probably at quite an advanced stage with information to include in our late mum's book so I only want to ask one simple question. Thanks for your message and your kind comments about my blog post on our meeting in Johor Baru recently. It is my privilege to connect your brother with Amy Wong and it gave me much pleasure to see them exchange stories and relive memories! In response to your question about Ngee Heng, let me throw some light on the place that you experienced as a toddler. Contrary to what you think, Ngee Heng is not “just a small and obscure village” but quite a large area in old Johor Baru. 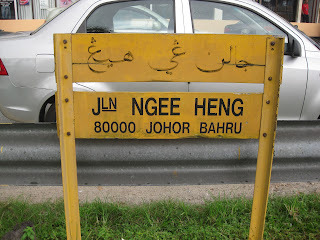 Back in the day, Ngee Heng was an area that once spanned an entire stretch from the present Landmark Mall all the way to the Ngee Heng Primary School, located at Jalan Abdul Rahman Andak. However, the length of road from Wisma Maria onward to the highway that borders the Caltex service station and Danga City Mall has since changed its name to Jalan Tun Abdul Razak. Today, Jalan Ngee Heng is reduced to a short road that only spans from Landmark Mall to Wisma Maria. As your parents were in Education, my guess is that it is likely that your family used to live in the Government quarters located close to the present Caltex service station. 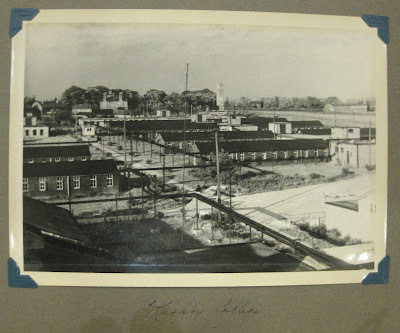 If you have old photos, we could probably figure it out from scrutinizing the buildings but I suppose you cannot recall much from your toddler-memories! I have clear memories of Ngee Heng because I used to live with our grandparents at No. 154 Jalan Ngee Heng, a double-storey bungalow with an adjacent badminton court that once stood on the site directly opposite the present Wisma Maria. When the Government acquired the land to build the highway, we had no alternative but to relocate. After the house was demolished, an enterprising trader set up a warung on our former driveway and seems to have some permanence because he has even built a fence around his stall there! Like you, some readers also wrote to me about life in Ngee Heng and I met former St Joseph School boys who used to live and hang out in the neighbourhood. 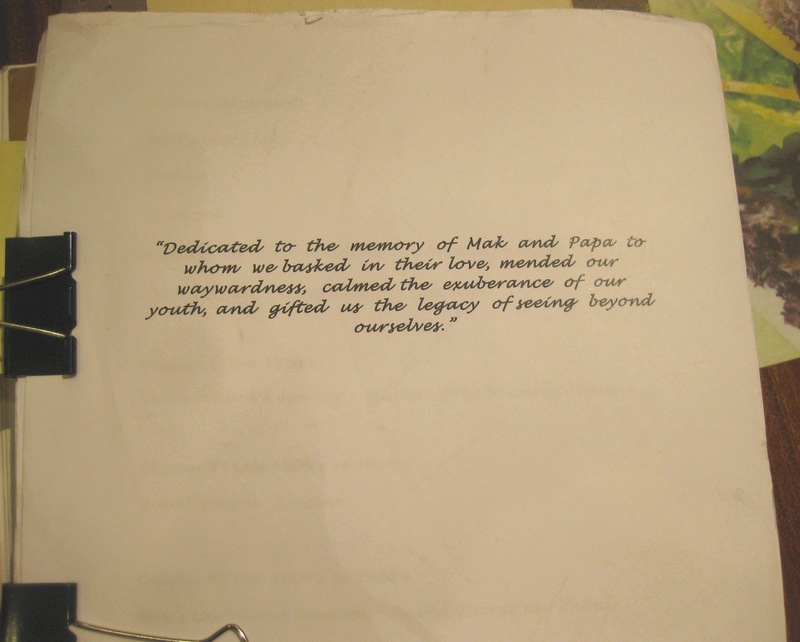 As they shared their memories with me, it rekindled more of my own. You can read more about my Ngee Heng memories and life in Ah Kong (grandfather)’s house as well as these readers’ recollections for a nostalgic feel of life at Jalan Ngee Heng in a bygone era. 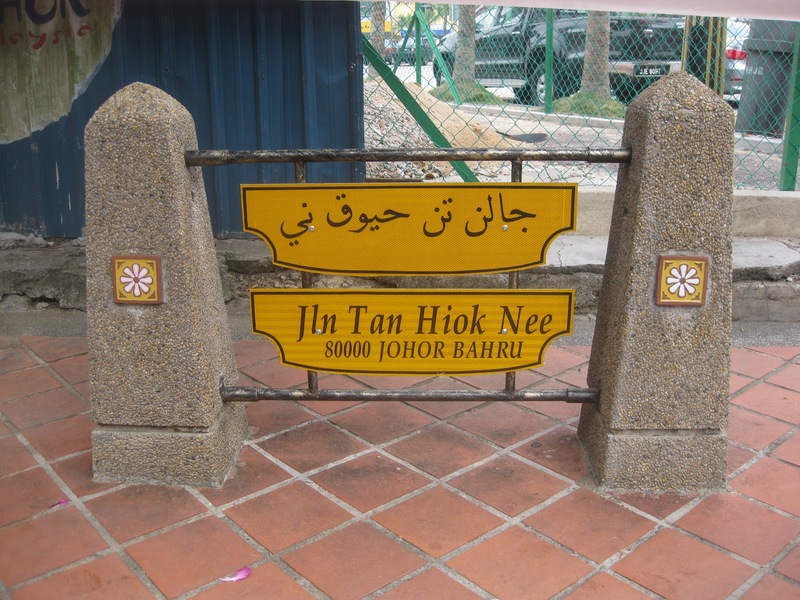 You may not know it but the name “Ngee Heng” has deep significance to the Chinese in Johor Baru as it was the name of the Teochew clan that was headed by among other leaders, Major China Tan Hiok Nee. 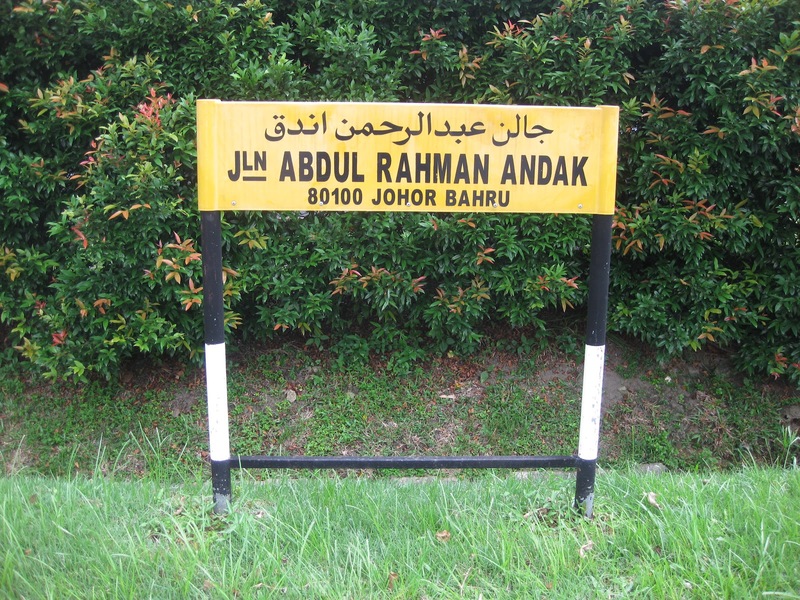 These names have certainly earned their place in Johor’s history because roads in the city are named after them but this is another topic which I will discuss separately. I hope my input has been helpful and answers your question about Ngee Heng. When Zainal visits Johor Baru again to meet with Amy, you may plan to come along for the proverbial walk down memory lane – yours being Jalan Ngee Heng! I’m sure it will be interesting to explore the Johor Baru you used to know. 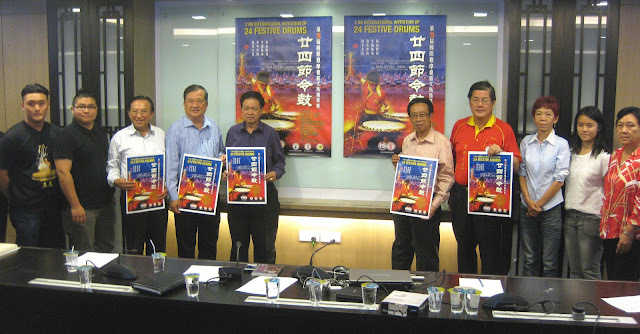 For the first time in the 24-year history of the 24 Festive Drums, national and international 24 Festive Drum troupes will be performing as part of the programme in the 9th Johor Baru Arts Festival. The 2nd International Invitation & National 24 Festive Drums Competition 2012 will bring together 7 international and 8 national drum troupes for a spectacular show in the Johor Baru Indoor Stadium on 15 September. While the Malaysian troupes will be competing, the international troupes will present an exhibition show of their skills in this Johor-born art of drumming. At the official launch of the 2nd International Invitation & National 24 Festive Drums Competition on 13 August, Lim Ik Kim, president of the Johor Baru Tiong Hua Association, was proud to announce that this event is part of the association’s 90th anniversary celebration. 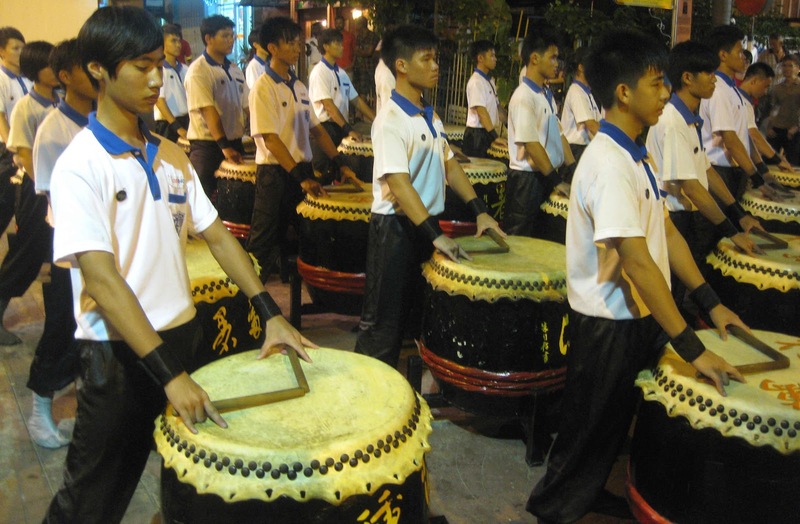 “In the first event held in 2010, fans came to Johor Baru from as far as mainland China and as far north as Kelantan and Penang,” said Tan Chai Puan who together with the late Tan Hooi Song founded the 24 Festive Drums in Johor Baru in 1988. It was indeed a proud achievement when the 24 Festive Drums was listed as a national cultural heritage by the Unity, Culture, Arts and Heritage Ministry on 14 February 2009. 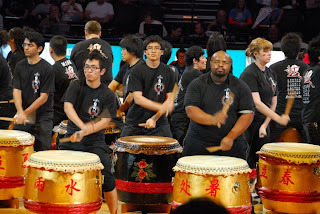 Since its introduction, this unique art of drumming has spread to Singapore, Taiwan, China, Thailand, Switzerland and the United States, with more than 300 troops worldwide now. 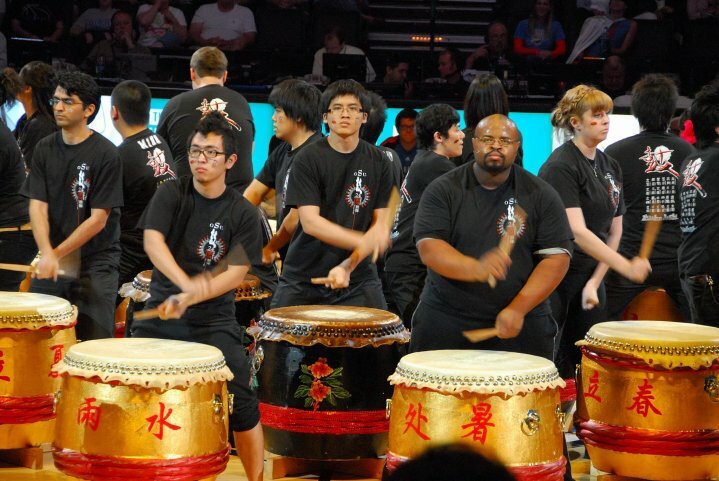 In 2008, Malaysian students in Oklahoma State University started the first 24 Festive Drums troupe in the United States. It was a very proud experience for this M24D troupe who had the honour to perform at half-time for the NBA games in Oklahoma City in 2010. The foreign troupes that will participate in the 2nd International Invitation include the M24D troupe from US, the University of Liverpool troupe from the United Kingdom, as well as troupes from China, Taiwan and Singapore. Fans of this art of drumming will be thrilled by superior standards of performance by school drum troupes taking part in the competition segment of the event. They can look forward to being wowed by troupes from Foon Yew High School Johor Baru, Foon Yew High School Kulai, Chung Hua High School Seremban, Jit Sin High School Penang, SMJK Yu Hua Kajang, SMJK San Min Perak and two troupes from East Malaysia. 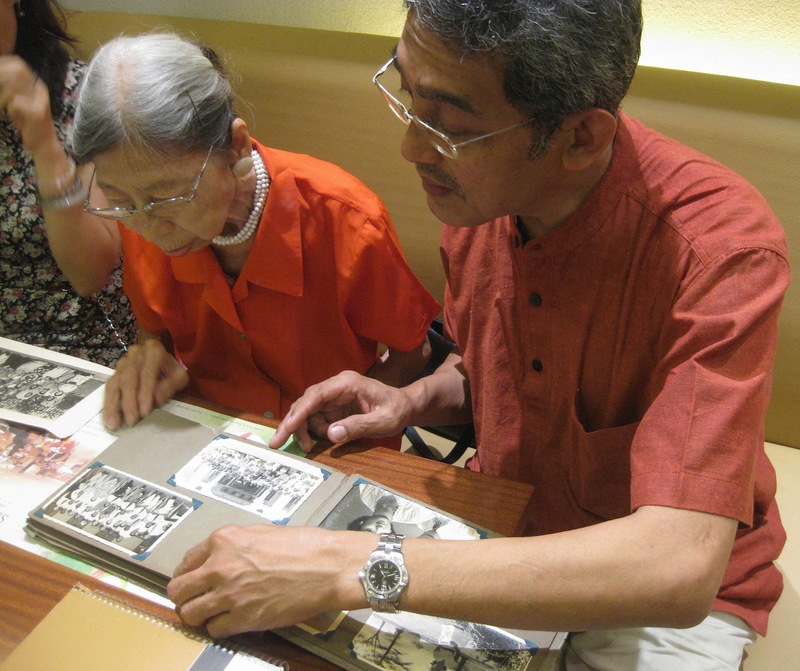 It all started in 2008 when Zainal Yusof began doing research into his family history. With a passion for writing and a demanding career in advertising, his work on a project started by his late mother, had its fair share of starts and stops. His quest for more information to complete this project ultimately brought him in touch with me and back to his roots in Johor Baru. His father, Yusof Mohamed, was already a senior teacher attached to a school in Batu Pahat when he joined the first batch of teachers to be trained in the Malayan Teachers’ Training College in Kirkby, UK. He was then aged 35 and there’s where he met Zohara Ishak, a 25-year old girl from Johor Baru, a fellow trainee in the pioneer batch of teachers in Kirkby – who later became his wife. 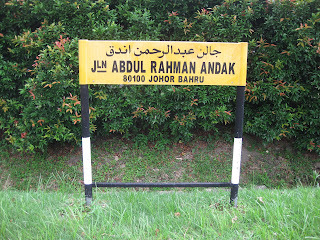 On his return from Kirkby, Yusof’s first job posting was to English College [now known as Maktab Sultan Abu Bakar] in Johor Baru before going on to be Vice Principal of the Language Institute at Bukit Senyum. Although he thought his career would continue and end in Johor, he had no alternative but to move to Kuala Lumpur when the institute was relocated there. Yusof and Zohara have five children, three boys and two girls – Zainal is second in the family. Just four months after Zohara’s demise in 2008, Yusof passed away at age 91. As the family went through their personal items, they discovered a manuscript of Zohara’s autobiography that she started writing in 2000, filled with interesting anecdotes. 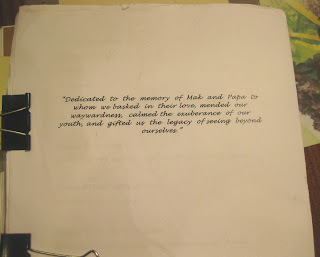 As they pieced together writings by Yusof [retrieved from his daughter who now lives abroad!] 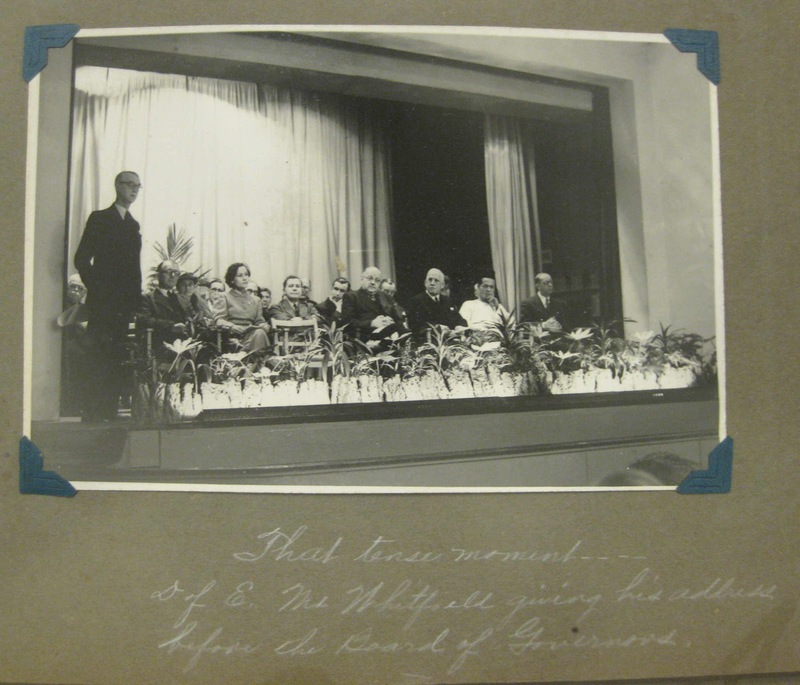 and looked at their parent’s collection of old photos, an exciting story emerged. This compelled the siblings to reach a decision to complete the project that was started by their mother. This decision set Zainal off on his quest for relevant information to flesh out the outlines made by his mother, travelling to places and meeting people to confirm comments and verify events that she wrote about. The internet is a useful research tool and one of the blog sites that Zainal discovered was, My Johor Stories. 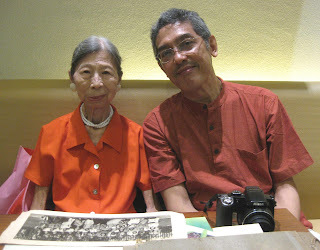 As he read my blog, rediscovering Johor – the place where he was born – Zainal read my Portrait piece on Amy Wong, a retired teacher who was also a member of the pioneer group of trainees at Kirkby College! 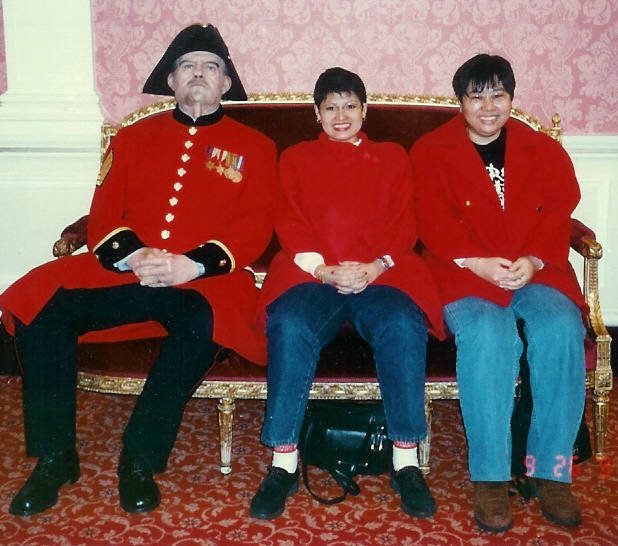 From my description on Amy Wong’s 21-day journey by steamship to the UK, Zainal recalled his father’s recollections of his experiences that closely mirrored Amy’s memories. 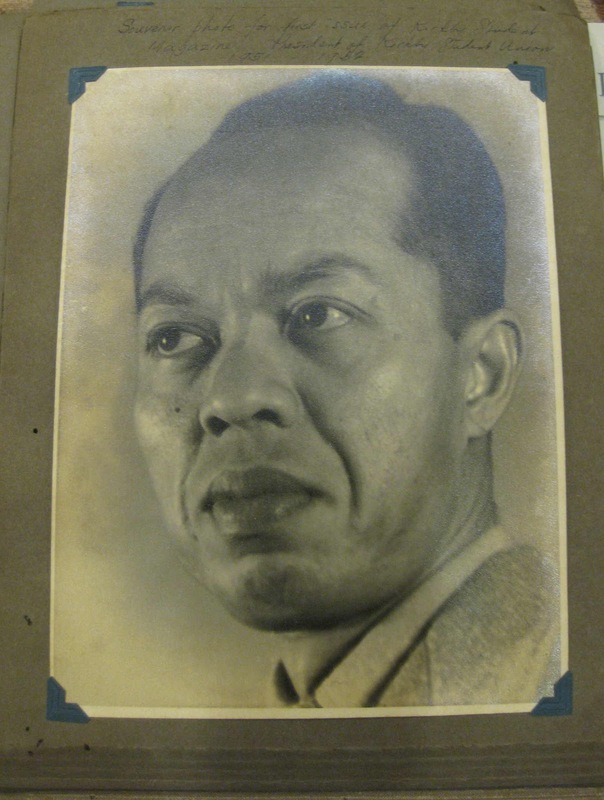 While his father was also actively involved with the shipboard and ports-of-call adventures that Amy enjoyed, his mother hardly had any fond memories of the journey. 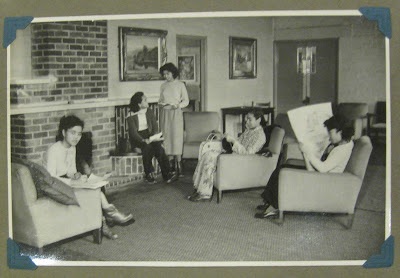 That was probably because she did not have good “sea legs” and her bed was a welcome respite to ward off sea-sickness! Your old article on The World of Amy Wong interests me, as my late parents were from the same batch of the first Kirkby teachers. I have a group picture of my parents with Ms Wong (I believe is her). I’m curious to know if Amy Wong is still contactable for me to find out some facts. I am presently finishing off my mother’s biography. My mother’s name was Zohara Ishak, while my father was Yusof Mohamed. Recently I have been receiving emails from readers with interesting feedback and queries on my blog posts and since I have been connecting people through my blog, I have inadvertently earned the subtle nickname of, “Nokia,” because I’m living out this brand name’s famous tagline – Connecting People! Delighted and extremely excited that you responded swiftly for the opportunity to be able to meet or talk to Amy Wong. I am based in Subang Jaya Selangor, but I am JB born so I frequent come down. With all the changes, I may only lose my way in the current JB roads! Yes, I’m preparing the mementoes, photos, writings and everything related to preparing my mother’s biography, to bring to meet this very special woman who shared a piece of history with my parents at Kirkby. I believe our meeting will be relevant not only to the autobiography that my mother started writing but to what I believe is history in its most enriching role. 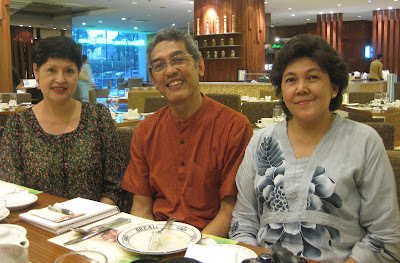 I will get back soonest in the next few days, on a time to be in JB for tea with you and Amy Wong. And hey Peggy, I am from the advertising industry, and before I had even read Amy Wong's story, I was somewhat impressed and certainly attracted to your whole web page of the nostalgic feel and look of Peggy Loh's “My Johor Stories”. Really good stuff! Our correspondence culminated with an appointment for tea on 21 August in Johor Baru. When Zainal and his wife, Norimah, were in JB to visit relatives over the Raya season, it was an excellent opportunity to meet with Amy Wong and me. An electric thunderstorm and blustery winds did not deter us from keeping the tea appointment and as agreed, Zainal came armed with an album of old photos and the precious manuscript of his mother’s biography. We shared a delightful afternoon, poring over old photos and listening to Amy reminisce about her Kirkby College days. 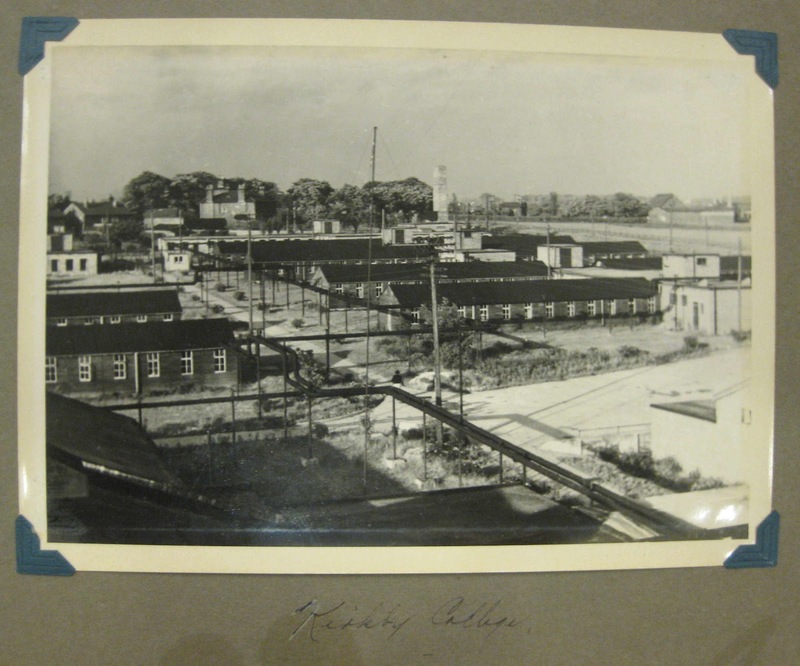 Even at age 83, Amy’s memory remained sharp as she wistfully recalled interesting details of that voyage on board the SS Chusan to the UK in 1951. Her recollections went a long way to substantiate what Zainal’s parents have recorded in their writings and with Amy’s permission, Zainal will use some of the information I wrote about her, in his mother’s biography. As Zainal discussed the project with passion, it struck a familiar chord with me because I have also been working on a biography for a foreign lady missionary in India. I can see that he is making good progress but like any writer, he is trying to add more relevant material to improve the manuscript wherever possible. The end of the project is virtually in sight and I share Zainal’s anticipation to see it finally out in print. Many members of the pioneer batch of Kirkbytes may no longer be with us but I hope that family members of any fellow classmates from the first batch, who are reading this, can contact Zainal to help him with his book project. Just follow Zainal’s footsteps by writing to My Johor Stories and I will put you in touch with him. P.S. As I told my mum about the appointment with Zainal, sharing names and interesting snippets of our conversation, I was pleasantly surprised to learn that mum is acquainted with his father’s family! She said his older uncle Hassan Mohamed, or rather Dr Hassan the dentist and his family, were their neighbour when grandfather or Ah Kong was based in Muar! 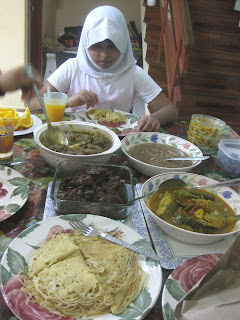 Mum also reminded me that the wife (Ramlah, a retired teacher!) 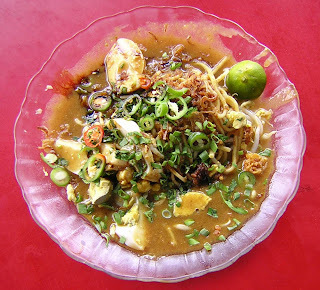 of Zainal’s younger uncle, Harris Mohamed, used to serve delicious Laksa Johor from a former café in JARO, many years ago! Wow! What a small world! Roti Jala literally translated as “net bread” is a firm favourite of mine, eaten with a generous drizzle of spicy chicken curry. 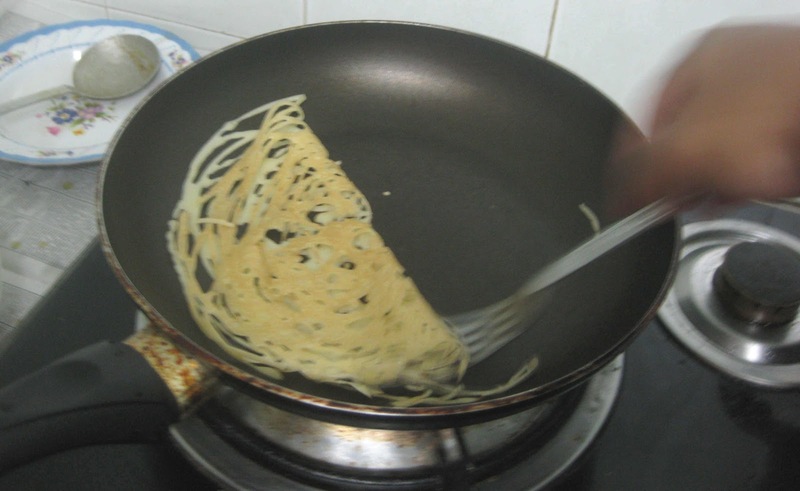 Even though it is called roti or bread, it is essentially a delicate crepe made with a simple recipe with ingredients like flour, egg, milk and a pinch of salt. The pretty pale yellow colour can be created by adding artificial colouring but the traditional way is to use a sprinkle of tumeric powder. 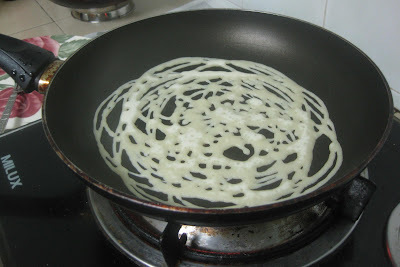 When my friend Shafina invited me over to break fast with her family at Ramadan, I did not know that I was also going to have my first lesson in making roti jala. I was already honoured to be invited home to share a family’s breaking of fast meal but I felt so privileged that I was going to savour her husband’s favourite dishes – personally cooked by him! “Come into the kitchen,” said Shafina in response to my query if I could help with anything. Fairoz, her husband was there, putting the final touches to the simmering dishes he was cooking and trying to get out of our way. Then I spotted the traditional cup-mould and recognized it among the paraphernalia to prepare roti jala. 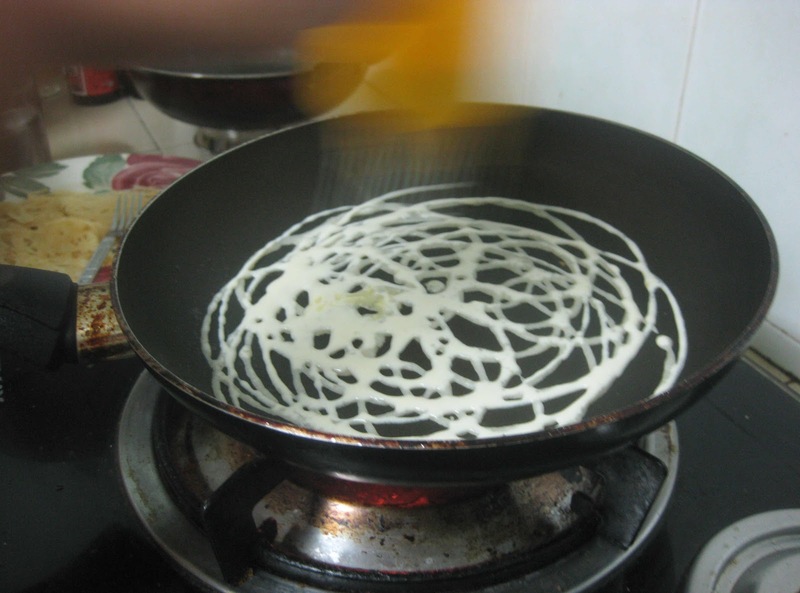 “You can help to make the roti jala,” she said casually, gesturing to the batter she had already mixed and the pan warming up on the stove. I have watched how the net crepes were made and only have a theoretical idea but never a hands-on experience. So I quickly confessed before we ended up without any roti jala to eat at the breaking of fast! Shafina is aware that I do such a lot of food-tasting that I hardly do any cooking so she demonstrated the art of making roti jala for me to watch and learn. After the warm pan is greased, the cup mould is placed over the pan before pouring a scoop of batter into the mould. The mould is then moved in a circular motion, allowing the batter to form a lacy pattern on the pan. Even though it looks easy and a whole lot of fun, there is a skill in swirling the mould in that circular motion because the batter should be “woven” in such a way to create a net with distinct outer edges. Let the batter cook for a few minutes until the crispy edges of the crepe curled up. It’s interesting that the batter is so delicate that it is only cooked on one side! 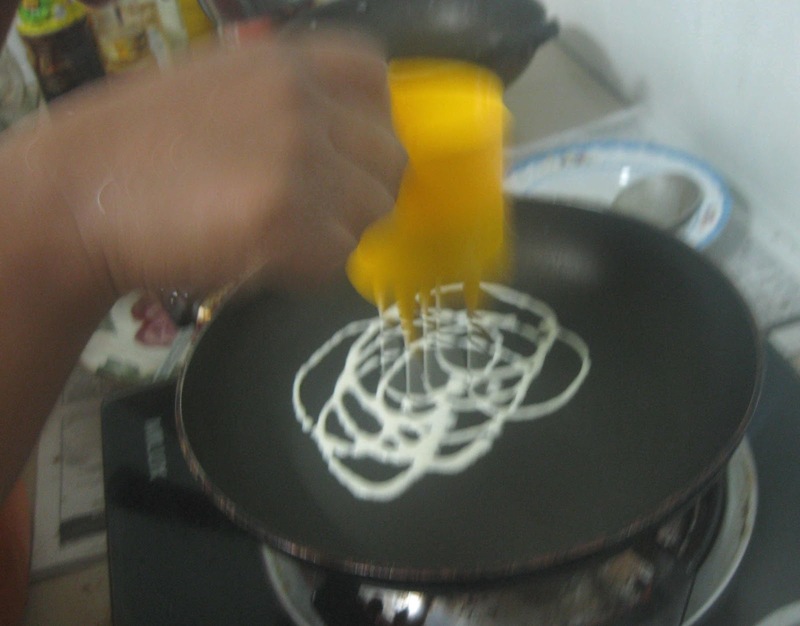 The cooked crepe is first folded in half and flipped into a quarter before being stacked neatly on a serving plate. Then repeat the process until all the batter is used up. Some like it sweet and some prefer it spicy. But when it comes to my choice for Mee Rebus, it must be Haji Wahid’s family recipe mee rebus because it tastes… just right. The rich gravy in Haji Wahid Mee Rebus perfectly compliments the noodles and condiments and when I savour a plate, I confess that I will polish the plate up to the last dollop of tasty gravy! Each time I’m in Plaza Angsana, I try to find an excuse to have a snack. That’s because the mee rebus, stewed noodles stall run by Haji Halim, is located at the ground floor food court. I usually time my visit to in-between meal hours because I simply dislike having to contend with a large crowd and long queue just for my noodles! Every now and then when I happen to go right smack at the peak dining hours, I’m confronted by a long queue in front of his stall. If I finally squeeze my way close enough to have a word with Hj Halim, he may not even have a moment to pause for a chat because the hungry crowd was waiting impatiently to be served. So I end up capturing a few photos as proof that I was there trying to get his noodles but was put off by the queue. 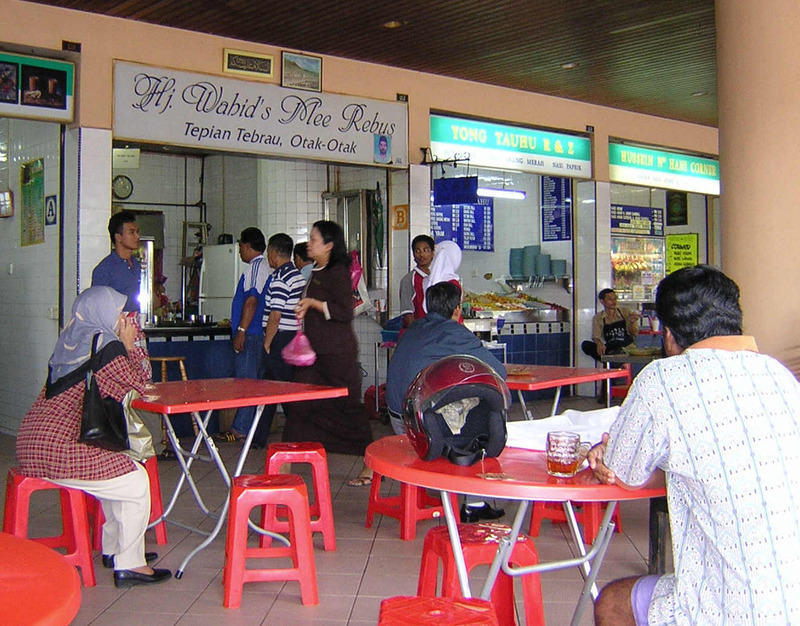 During Ramadan, the food court would be closed for the day but by late afternoon, the stallholders would begin preparation for the breaking-of-fast meals. 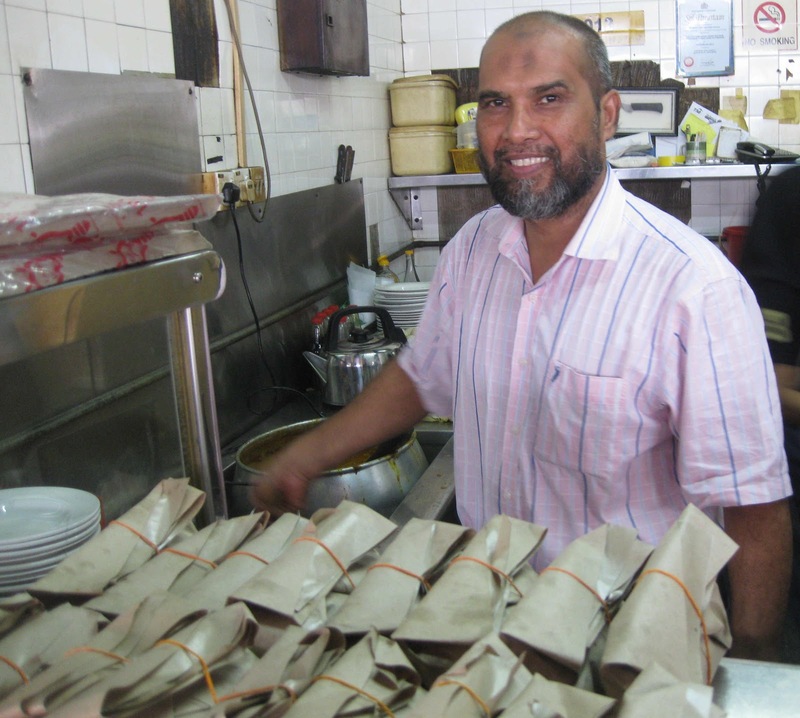 For years Hj Halim have been preparing the ingredients of his popular noodles to sell at Ramadan Bazaars in the city and would also serve it from his Angsana outlet. To cater to the rush of shoppers for the breaking-of-fast, Hj Halim would pre-pack his noodles for their convenience. Every year, I join shoppers to browse around the shops for Raya goodies and I did the same at Angsana this year. 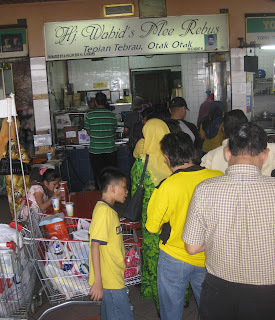 My shopping trip there would inevitably end up in front of Hj Wahid’s mee rebus stall and for once, there was nobody crowding around, waiting to be served! Hj Halim was busy at the stove, preparing the gravy to be packed separately from the packs of noodles all lined up for sale on the counter – and finally, he was also not too preoccupied for a chit-chat! Hj Halim is a family friend, a retired sportsman familiar with my uncles and aunts who are also retired from the national and international sporting arena. Our family had been enjoying his mee rebus for generations and since his food is such a hit among our family and friends, we often had his mee rebus served from a “live” cooking station in our parties at home. Before the rules were changed, Hj Wahid mee rebus was even “exported” overseas to be served at our grand-uncle’s parties in Singapore! The overseas catering arrangements may have ceased with the change of rules but the best thing is these delicious noodles remain unchanged! Relatives from Singapore often ask me for directions to Plaza Angsana to find their favourite mee rebus stall and I respond by not only giving them directions but also drawing maps to guide them there! I also tell them that they can always bring me along to show them the way – because I don’t mind having a nice mee rebus treat too! Yum! Haji Wahid Mee Rebus stall will be closed for the Raya holidays but I’m sure he will be ready to serve you when they reopen for business next week. To Haji Halim and family and all my Muslim friends, may you have a happy family reunion and Selamat Hari Raya Aidilfitri! 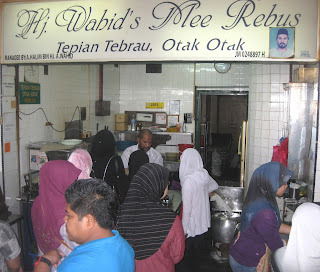 Johoreans have enjoyed delicious mee rebus for generations so when we long to have a satisfying mee rebus meal, only Mee Rebus Haji Wahid will do! Only his fragrant plateful of warm yellow noodles drenched in thick gravy, garnished by ku-chai, bean sprouts, green chilly with a slice of lime and topped by special “pendaram” or crispy condiment, will meet the lip-smacking mark. In 1918, grandfather Wak Baidali peddled his mee rebus every afternoon using a “kandar” or two bamboo/ rattan baskets suspended between a pole, in the area around the Bukit Zaharah building and Kampung Air Molek. From 1938 his son, Hj Wahid’s sole mee rebus stall among all the satay vendors was the crowd-puller at the Satay Club along Jalan Campbell (now Jalan Tun Abdul Razak). 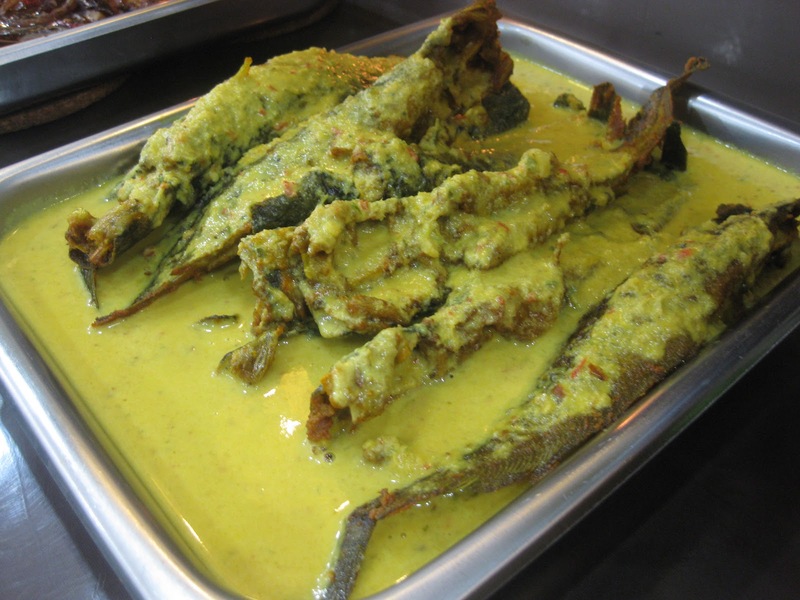 When the Satay Club was demolished in 1978, Hj Wahid moved his business to the Jalan Trus Bus Terminal while his son, Hj Halim operated an evening outlet in Tepian Tebrau at the JB seafront. When Hj Halim opened the stall in Plaza Angsana in 1997, his loyal mee rebus fans followed his trail there! “The secret is in its gravy”, laughed the affable Hj A. Halim Wahid at his Plaza Angsana stall. 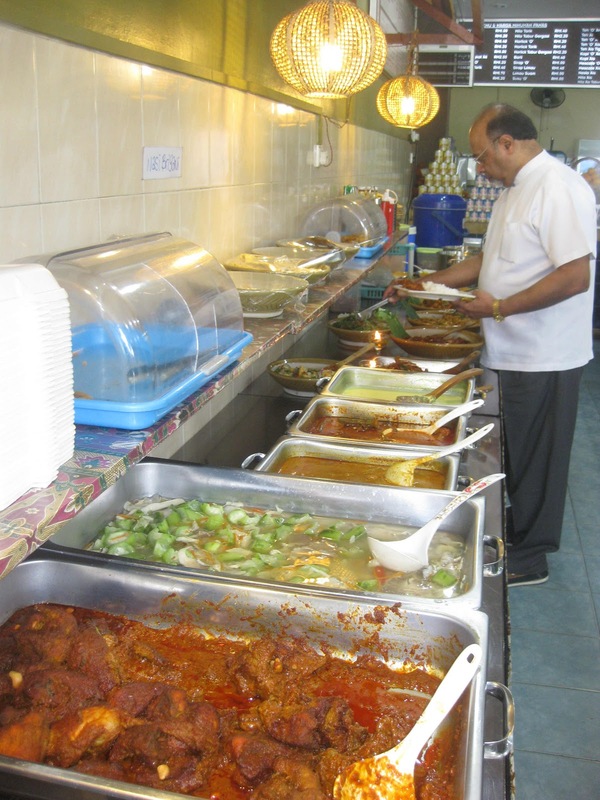 The closely guarded family recipe is shared by family members who operate another five outlets in Taman Sri Tebrau, Larkin Bus Terminal, Taman Rinting, Kampung Melayu in Johor and Taman Sri Hartamas in Kuala Lumpur. A long queue waiting to be served! Hj Halim and his siblings adopted the family’s good business practices and one such tradition is to work as a salaried employee and not just as a paid family member. He is a hands-on boss who works alongside his people and enjoys an amicable working relationship with his dependable suppliers of fresh yellow noodles, bean sprouts and eggs who have supported his business for the past 40 years. In addition, he caters for State and private functions and even to Singapore until recently when regulations changed. Hj Halim is proud that his mee rebus is also a favourite of our Prime Minister and his Deputy, and whenever possible, a special two tiffin-carrier takeaway will be arranged! The sixth among his 12 siblings, Hj Halim, a former National rugby player, happily hung up his boots for the family business. This ex-English College student realized his dream for the honour to wear the National colours and was ready to retire from the game at age 41 after acquiring a total of 32 stitches on his body! A father of 4, Hj Halim lamented that the long hours is a challenge for youngsters but is glad that one of his sons has shown interest in the business. Right after subur prayers, Hj Halim will be off to buy fresh ingredients from the market and head directly to his kitchen to prepare the gravy. By 11.00am his mee rebus will be ready to serve because Plaza Angsana’s business hours are from 10.00am to 10.00pm. So satisfy your tastebuds with the authentic taste of Hj Wahid’s mee rebus! Eighty performances, 4 art exhibitions, 4 competitive events, 7 workshops and loads of fun activities are lined up in the month-long 9th Johor Baru Arts Festival. The much anticipated annual JB Arts Fest will be held from 1 to 29 September, again in the grounds of Johor’s iconic Sultan Ibrahim Building at Bukit Timbalan. While most of the events will be held at the Bukit Timbalan Festival Village, the wider scale and variety of shows in this year’s fest will see performances staged at various locations including Danga Bay, the Johor Baru Indoor Stadium and Tan Hiok Nee Heritage Walk. 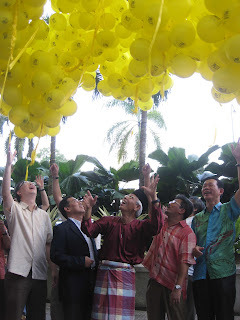 At the official launch of the 9th JB Arts Fest on 5 August, patron and Member of Parliament for JB, Tan Sri Dato Shahrir Abdul Samad, said that the arts festival will inject more life and soul into JB and is an important element in increasing the city’s profile and establishing it as a truly developed city. 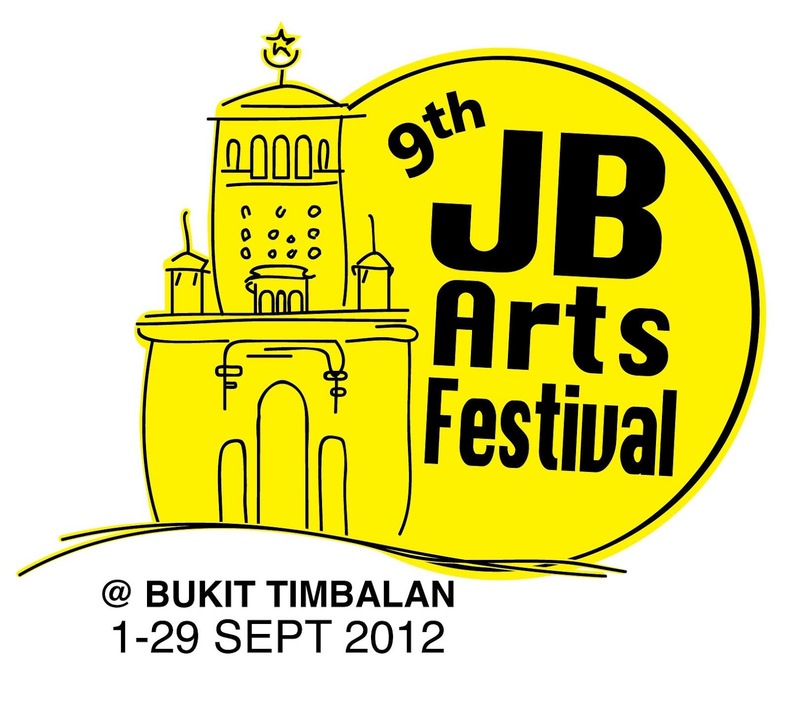 Now in its 9th year, the JB Arts Fest is the longest running arts fest in Malaysia that encompasses all disciplines of performing arts including music, dance, theatre, comedy, film and visual arts. With the rapid development of Iskandar Malaysia, JB is transforming into an international metropolis and the arts fest is an excellent platform for Johoreans to develop into a civil society who can appreciate the arts. “Becoming a developed city is not just in terms of buildings, skyscrapers and infrastructure but also about the development of the citizens to appreciate the finer things in life, such as culture and the arts,” he said. He went on to invite the public to support and participate in the festival not only by attending the exciting shows but also by taking part in the workshops and fun activities in the calendar of events that involves local, international, educational and interactive elements. “We believe that everyone – from all walks of life – can appreciate the arts and in line with this year’s slogan, “This is not just a festival, this is who we are” the JB Arts Fest has such a diverse array of performances,” he said. “We fully support the JB Arts Fest because the appreciation of the arts is part of Iskandar Malaysia’s economic and social expansion development not only in bringing in investors but also in improving the quality of life in Iskandar Malaysia,” said Ismail Ibrahim, Chief Executive of Iskandar Regional Development Authority (IRDA). He is pleased that the arts fest is organized by people who are passionate about the arts and at an even higher standard this year. “The JB Arts Fest is putting Johor Baru on the national and international map and IRDA is pleased to be involved in the arts fest not only this year but also in the years to come,” he added. Over the years, the JB Arts Fest has seen more local and overseas performers seeking to be associated with the annual arts festival. From professional artistes performing Japanese drums, traditional Sri Lankan dances, Canadian electronic musicians to student performers from the School of Communication & Creative Arts KDU University College, there is truly something for everyone in the 9th JB Arts Fest. 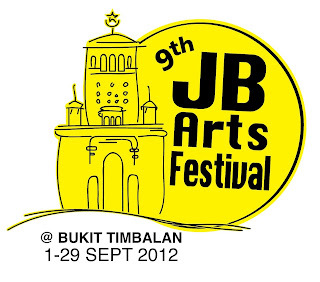 For more details, the calendar of shows and tickets, visit www.jbartsfest.com and the JB Arts Festival Facebook page. Tel: 6019 - 716 9900 and 6019 - 713 9900. With five children – four of them boys – Masitah Mat Jan is used to cooking large portions to feed her family. During their school-going years, her children often brought friends home for meals and Masitah had plenty of opportunities to exercise her passion for cooking. Encouraged by the positive feedback on her food, Masitah then opened a stall to sell Nasi Ambeng at the annual Ramadan bazaar. 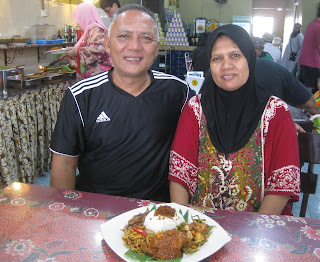 Some 10 years ago, her husband Zailani Kasmuri started working on a business plan and when the Skudai sub-station of the Singapore Public Utilities Board he worked with ceased operations in August 2011, he opted for retirement to start a food business. Zailani, who is from Pontian, called his family together for a meeting to discuss his plans. With ideas contributed by each family member, they came up with a business concept that reflects their Johor Javanese heritage and opened D’Ambang restaurant in Senai. “I started the family business to bring the children closer together,” said Zailani, pointing out that their daughter, Fazliniza, 26, takes care of the administration while sons, Mohd Ezrul, 24 and Mohd Fadzli, 21, help with restaurant operations and the beverage section. One other son works in Singapore while the youngest is still studying. The chief cook, Masitah, is assisted by several kitchen helpers, to cook an extensive menu of Malay specialties served for breakfast, lunch, tea, dinner and supper. Nasi Ambeng, a typical Javanese meal, is traditionally served on a large tray as a communal meal but you can enjoy a single portion of this signature dish on a plate here. It is usually made up of four parts: steamed white rice, a choice of meat – chicken, beef or mutton, sambal goreng (fried and fermented beancurd – tempe, long-beans and vermicelli) and serunding (spicy shredded coconut) and fried noodles. 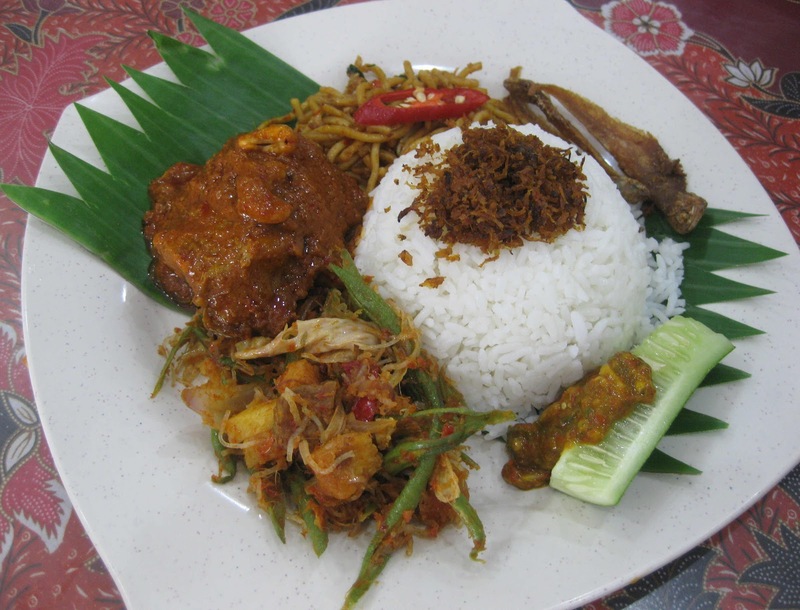 The serving of nasi ambeng here also includes fried salted fish and a side of spicy sambal belacan. 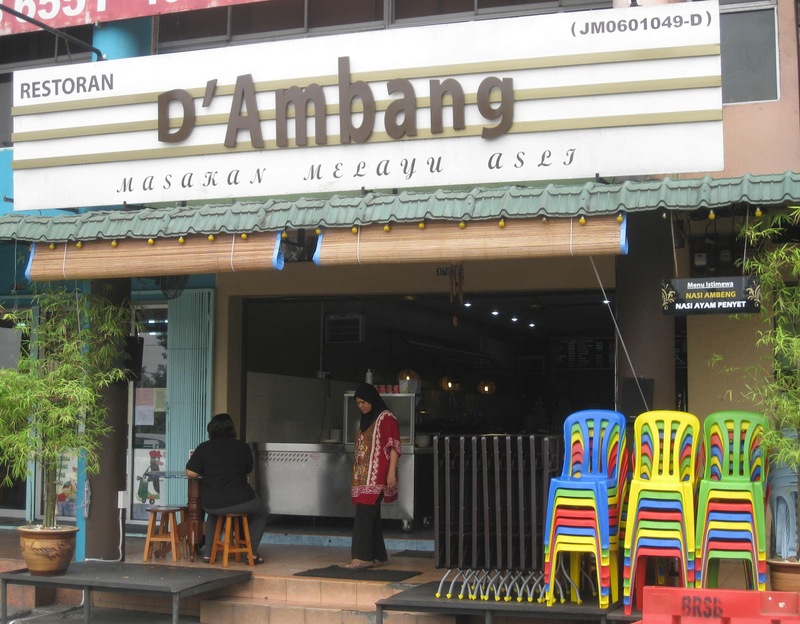 Customers who discovered D’Ambang have become regulars because after they have tasted one meal, they had to return to savour the specialties served at different times of the day. For instance, if you had Roti Canai, Laksa Johor or Lontong Kuah Lodeh (rice cubes in a vegetable stew) for breakfast, you will be tempted to taste the lovely lunch spread of dishes like kupang masak sambal (mussel sambal), ikan assam pedas (hot and spicy fish) and ikan keli masak lemak chili-padi (spicy catfish dish) with steamed white rice. 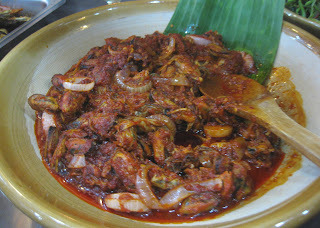 “Ayam Penyet paling top!” exclaimed Masitah in Malay, using a colloquial expression to describe the popularity of their freshly deep-fried-crushed-chicken meal that comes with a side of spicy sambal belacan. Some of the hot favourites in the dinner menu include spicy mutton ‘gear box’ bone soup and rice porridge sets. There is an ala carte menu of rice and noodles to order from at any time of day and a variety of drinks and desserts, including ABC – Air Batu Campur, a refreshing heap of flavoured shaved ice! There is a special charm about the clean and cosy ambience in this family-run restaurant that keeps customers coming back again and again. Maybe it is because customers can appreciate the beauty of batik that decorates each table-top or simply because Masitah does not use any artificial flavouring in her cooking. D’Ambang is also fast gaining popularity among travellers from the North en route to Singapore’s Changi Airport for their Umrah departures because this is an ideal destination for a taste of Johor cuisine. During Ramadan month, D’Ambang will be serving their popular daily specials for the breaking of fast and Sahur meals before dawn. 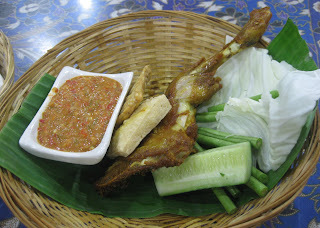 D’Ambang restaurant is located at No. 1769, Jalan Senai Utama 1 / 2, Taman Senai Utama, 81400 Senai, Johor. For catering and enquiries, Tel: 607 – 5909 424 and 019 – 769 5640. Did you catch the Olympic fever too? All eyes are on London this summer, many glued to the TV and other media to get the latest sporting results. With the advancement of technology, this is an unprecedented event where we can get almost moment-by-moment updates. The explosive use of Twitter and Facebook during London 2012 has even named it the first Social Media Games! My aunt set her alarm to wake up on time to watch the “live” telecast of the Opening Ceremony on 27 July but later told me that she should have slept till 6am because that was when the real ‘action’ started. But it was still a memorable and spectacular show – worth waking up early for. Everyone was wowed by the appearance of British icons like James Bond, Sir Paul McCartney representing the Beatles and the annoying Mr Bean and even Her Majesty the Queen, was not left out! In the past weeks, viewers in this part of the world stayed awake into the wee hours of the morning to watch “live” telecasts on cable TV channels or caught up with the recorded games the next day. Our TV was on at odd hours in the day and night as dad watched his favourite games like table tennis, swimming and diving but badminton has a special place in our family and is close to the heart of all Malaysians. The games – most obvious in the badminton finals – certainly united the nation when our national badminton champion gave a stunning and courageous performance on the world’s stage to make the nation proud. As a small nation of 28 million, we can certainly hold our heads high for successfully identifying and grooming teams of quality players over the years as compared to the other two badminton powerhouses in the world – China and Indonesia – that each has a large pool of 1.3 billion and 200 million people to pick their sports talents! All too soon, the London Olympics is over but I hope the athletes and visiting contingents had a chance to appreciate a bit of English charm before they left for home. 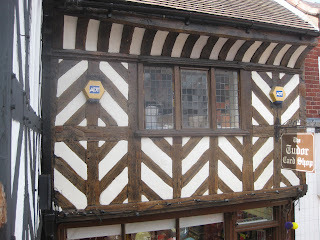 The focus on London 2012 brought back a flood of fond memories of my experience of all things English and set me off to review photos taken during various stays in London with our cousin Bernice, in Chinnor with my sister Pearly and with dear Judy in Nantwich, a market town near Chester. Coming from a tropical land, I simply adore the cooler English air that envelopes me like natural air-con! Besides taking in a few theatre shows and visiting city sights, I enjoy going for walks along country roads and because the air is not humid, I can walk for miles without feeling tired. 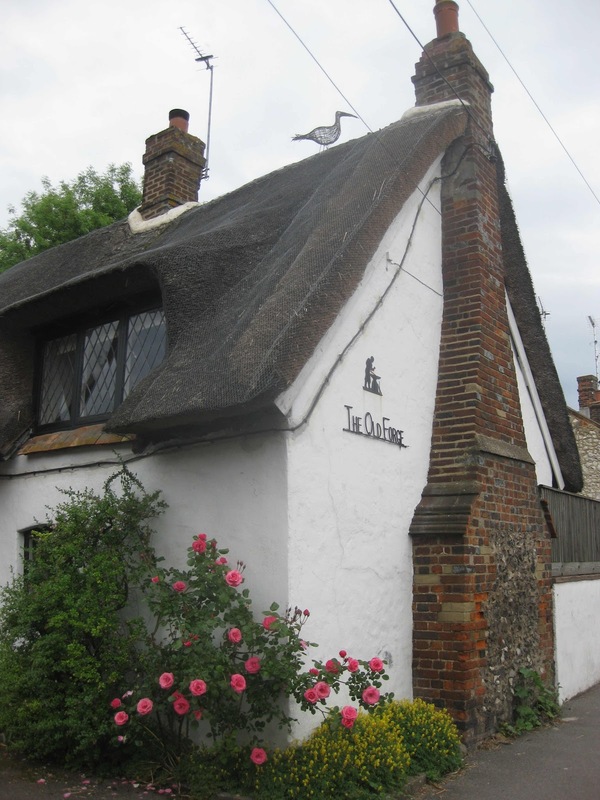 There is plenty to see and do – from checking out quaint thatched cottages and Tudor architectural designs to admiring beautiful English roses in pretty gardens and exploring quiet church yards. Having a spot of tea! There is nothing more English than a hot cup of brewed tea. 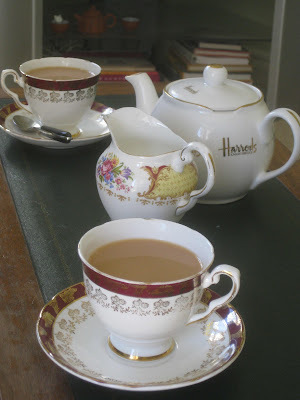 And this is what Judy served in a very warm English welcome when my sister and I were guests in her home in Nantwich. I didn’t miss the Harrod’s name on her teapot, another English icon renowned in Knightsbridge! Judy is a gracious host who not only pampered us with her warm hospitality but also took us to visit attractions in nearby Chester, Manchester and Liverpool. Incidentally, Chester is also the birthplace of current James Bond, Daniel Craig! I insist that traditional Fish ‘n Chips with a dash of vinegar, is a “must eat” English street snack on any trip to the UK. 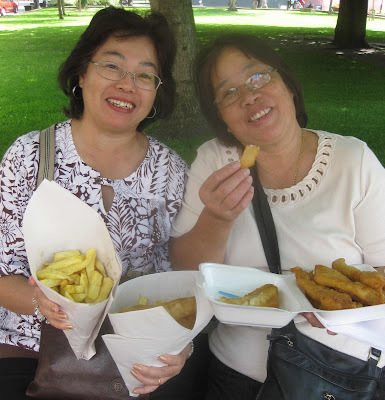 Find a comfortable spot on a park bench and enjoy sinking your teeth into freshly-fried fish and potato chunks while the cool wind whips around you. Yum! This shot of a steam train was taken by leaning out of the window as our train slowed down to change tracks. 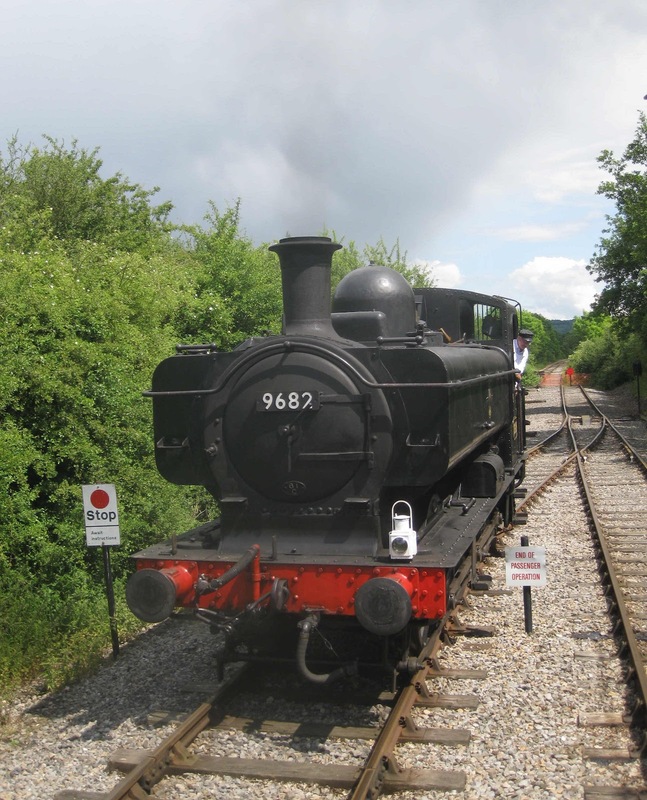 Built in 1872 the Chinnor Princess Risborough Steam Railway line is part of the original Watlington Branch. It is an ancient train that really chugs along and as it passed picturesque fields and farms, the engine driver gave us the full experience by sounding the charming “Choo! Choo!” whistles! 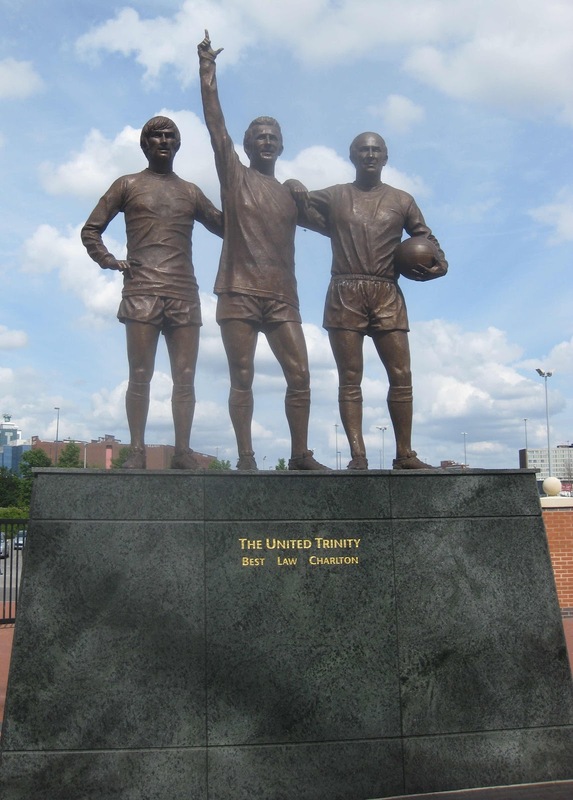 I’m not a football fan but since we were in the neighbourhood, we went to Old Traffod in Manchester as well as Liverpool Stadium and Everton Club Stadium on behalf of my nephews who are ardent supporters of these clubs. But I’m a fan of the Fab Four so I visited the Beatles Museum in Liverpool and spent a delightful time, enjoying priceless memorabilia with an interactive experience through an informative narration on my headphones. 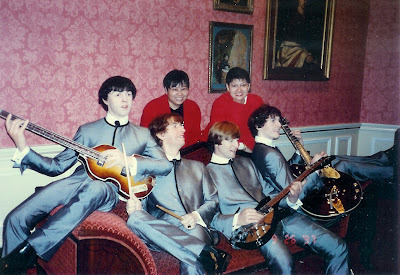 Even though I was not part of the “Beatlemania” craze when the band’s popularity was at its peak, I particularly enjoy the lovely music from their Abbey Road album. 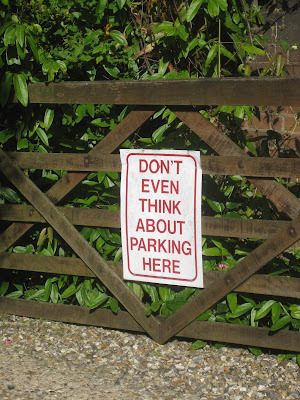 A sample of dry English humour! While the 30th Olympiad has triggered off interest in travel to cities that once hosted the games, I’m treasuring memories of my charming English experiences and looking forward to revisiting the UK. 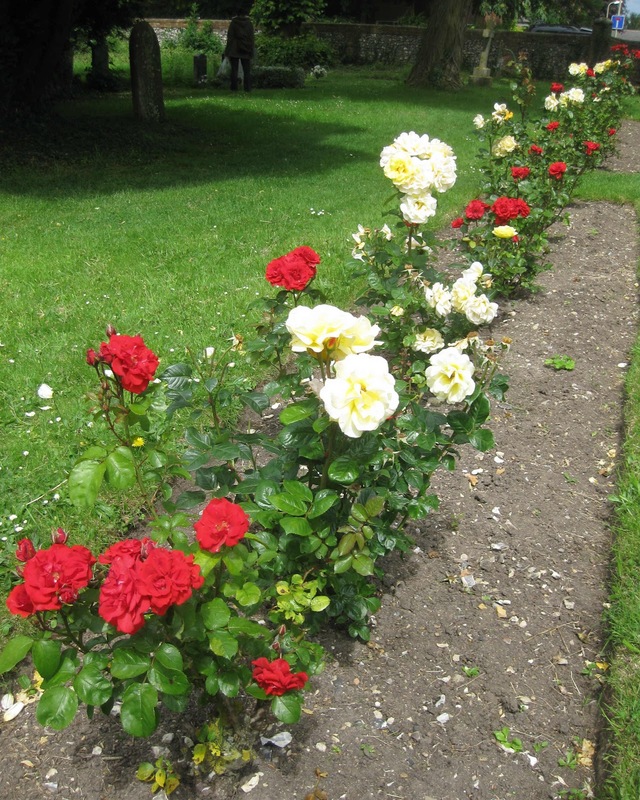 This time maybe – not only to Chinnor and Nantwich – but also to see Bernice and her family who now live in Wimbledon. Let me think about it and start planning because part of the fun is getting there!